Chicken Tortilla Soup + #Healthy Solutions Spice Blends Giveaway! The natural salt in food accounts for about 10 percent of total intake, on average according to the FDA. The salt we add at the table or while cooking adds another 5 to 10 percent. About 75 percent of our total salt intake comes from salt added to processed foods by manufacturers and salt that cooks add to foods at restaurants and fast food. 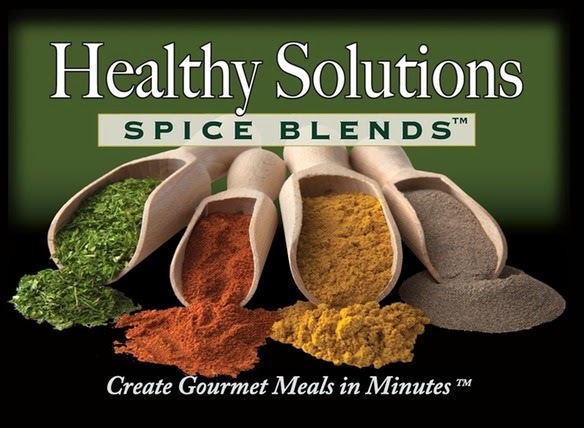 Healthy Solutions Spice Blends are made using only the highest quality spices and have no fillers or preservatives, no MSG, and are low in carbohydrates. Most blends are made with no salt or sugar. It's difficult to cook without salt! Food needs salt to taste good! But if you put together the right combination of spices, you add flavor and Healthy Solutions makes it easy! There are so many delicious blends to choose from such as Hearty Beef Stew, Italian Meatballs, Perfect Steak, Ultimate Burger, Cajun Seafood, Shrimp Scampi and more! The packages contain plenty of product and can be used for several meals. Follow and 'Like' Healthy Solutions Spice Blends for more recipes for the Holidays and everyday meals. I used the Authentic Chili/Tacos Spice Blend for my Chicken Tortilla Soup. I have made several recipes using this blend since my family loves Mexican Food! It's not overly spicy and gives any Mexican dish a great flavor. Directions: Heat oven to 375 degrees. Sprinkle chicken breasts with about 1 Tbsp. of Authentic Chili/Tacos Blend and a drizzle of olive oil. 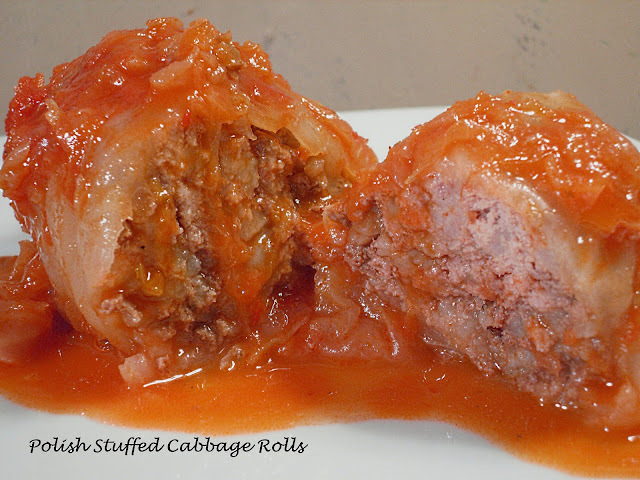 Bake for 20 to 25 minutes or until cooked through. Prepare soup base. Set a skillet over medium heat. Once it is hot, toast the chiles for about a minute per side. In a medium saucepan, place the toasted guajillos, tomatoes and garlic clove and cover with water. Place over medium high heat and bring to a boil. Reduce heat and simmer until tomatoes are cooked and mushy and the guajillos have rehydrated and plumped up, about 15 minutes. Place the guajillos, tomatoes, garlic, onion and 1 Tablespoon Authentic Chili/Tacos Blend, along with the simmering liquid. Puree until completely smooth. In a soup pot, heat 2 Tbsp. canola oil over medium high heat. Once hot, pout in the tomato puree. Cook until slightly thickened and puree turns a deep red, about 10 minutes, stirring occasionally. Add chicken stock, cream of chicken soup, half and half, corn, green chilies and beans. Bring to a simmer. Tear up one corn tortilla and add to soup. Simmer to blend flavor, about 30 minutes. Stir in shredded chicken. Garnish with chopped fresh cilantro, cheese of your choice and fresh avocado cubes or sliced. Add a handful of tortilla strips. Makes about 2 quarts. Fry additional tortilla strips to garnish. Guajillo chiles can be found in most supermarkets in the Latin section. I'm required to disclose a relationship between my blog and Healthy Solutions Spice Blends. This could include providing me w/ content, product, access or other forms of payment. I'd like to try the one for pork & poultry! I've had these blends and enjoy them very much! Not available in my area to buy, so I'd love to win some! A lot of the spice blends sound interesting. I'd like to try the sesame ginger seasoning! I would like to try the hearty beef stew flavor. I'd love to give my beef stem a little oomph. I want to try the ultimate burger variety. 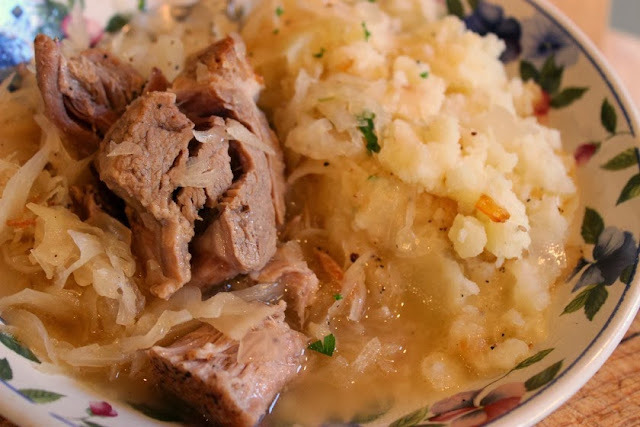 The beef stew looks good and is perfect for this cold weather! I'd like to try the Authentic Chili/Tacos Blend. 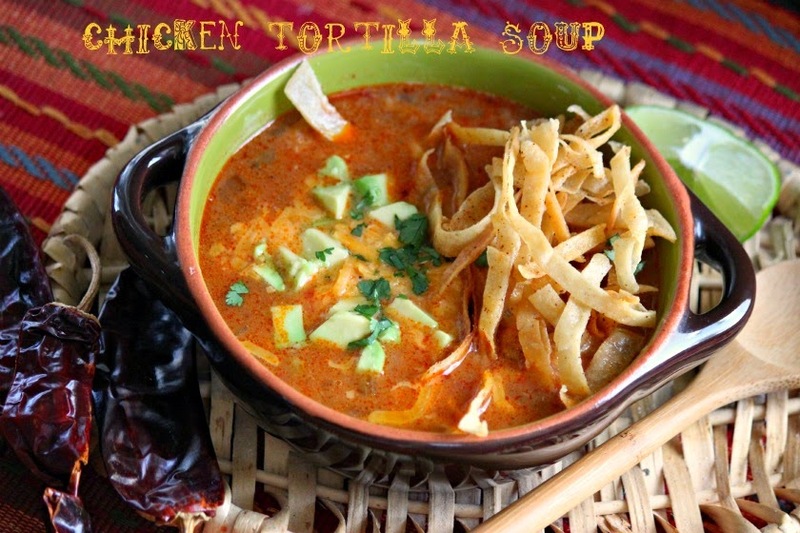 Your tortilla soup looks delicious and I'm going to bookmark it to make later. I'd try the shrimp scampi first but put them all on my NEXT list.